Join MAA members at the classic ice crag in Lee Vining Canyon for water ice climbing on top rope! Prior experience climbing ice and snow is helpful, participants will be expected to know how to tie in and belay safely. Loaner gear may be available. We have room for 10. Hope to have you out with us! 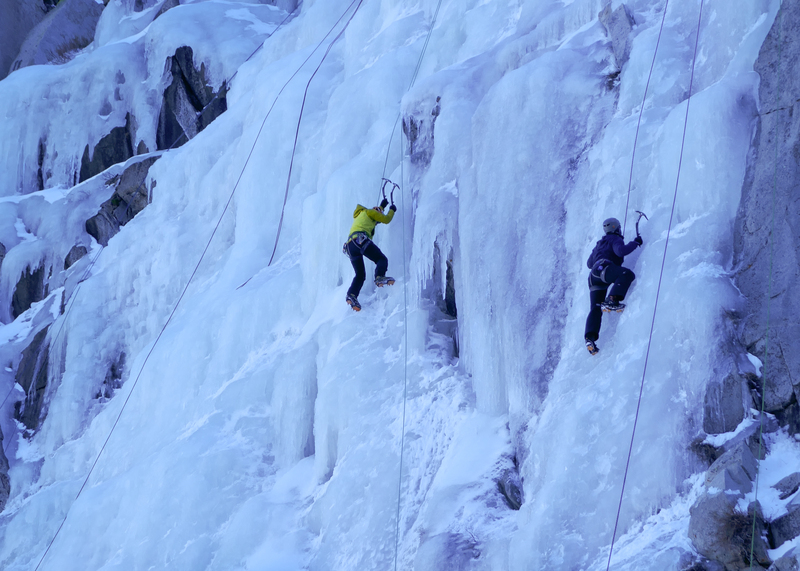 What's happening: Ice climbing at Chouinard Falls or Main Wall, in Lee Vining Canyon. Top rope belays. 2 mile approach over snow covered boulders, possible treacherous stream crossings. Where to meet: Mobil Gas Station, 22 Vista Point Dr. at 7:30 am. We'll caravan to the Lee Vining Trailhead at the Poole Power Plant. Even though this road is plowed, an AWD or 4WD may be needed.